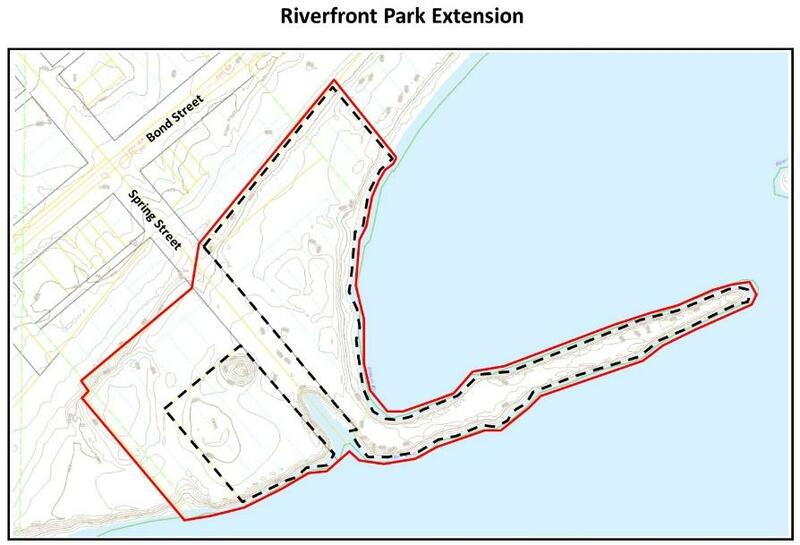 The City of Peoria will be hosting a public planning session regarding the extension of Riverfront Park on Wednesday, November 4, 2015 at 5:30 p.m. in the ballroom of the Gateway Building (200 NE Water Street). The City is seeking input from the community regarding what recreational and design elements should be included in this new park area. The City has identified approximately 8 acres of property immediately adjacent to Riverfront Park that will serve as an extension of the park. The proposed new park, a combination of private property and currently unimproved public property, will add an additional 750 linear feet of access to the Illinois River. It will also ensure public ownership of the entire river front from I-74 to Detweiller Marina. The planning event will allow citizens and other stakeholders to share their thoughts about the design of this new area. Facilitated small group discussions will yield input on landscaping, recreational elements, interaction with the water and other park elements. The City will also use an Internet-based survey to solicit ideas from those who cannot make the meeting. This survey will launch the week of November 2, 2015. Designers will incorporate community preferences into a master plan and budget that will be presented to the public. Project information will be housed on the City’s website: www.peoriagov.org/riverfrontpark. As part of the River Trail project, the City needs to acquire property to convert into recreational open space in order to compensate for the loss of parkland to the development. The City will need the approval of the Illinois Department of Natural Resources (IDNR) and National Park Service (NPS) in order to finalize the land swap. A key step in obtaining that approval is submitting a plan for how this newly acquired property will be improved into a park. While creating an improvement plan is a critical activity, the City is pursuing the other steps in obtaining the proper approvals that will allow the River Trail project to proceed. The City will host at least one public hearing, separate from the upcoming planning session, which will allow citizens the opportunity to support, oppose or otherwise comment on the entire conversion. That date has not yet been set. Questions can be directed to Christopher Setti, Assistant City Manager, at (309) 494-8618 or csetti@peoriagov.org.